Majority of Makeup-artists can do anything. Natural makeup to simply enhance features and then more glamorous/dramatic makeup to transform. We all have our favourite styles and I love transforming faces. I wanted to share with you one of my Holy grail Drugstore Concealers. I carry these in my kit to every makeover or makeup job I do. I've never been ashamed to carry a drugstore product in my kit, no way! if it does an amazing job, of course I'm going to use it. 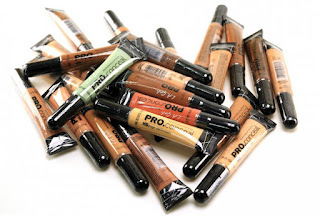 So my Holy grail Drugstore Concealer is of course the L.A Girl Pro HD Concealers. They are amazing for covering acne, scarring, redness and dark circles. Anything you can think of, this stuff is a life saver. Not long ago L.A Girl added a few more concealer shades to their range including colour corrector's, Orange, green and yellow. 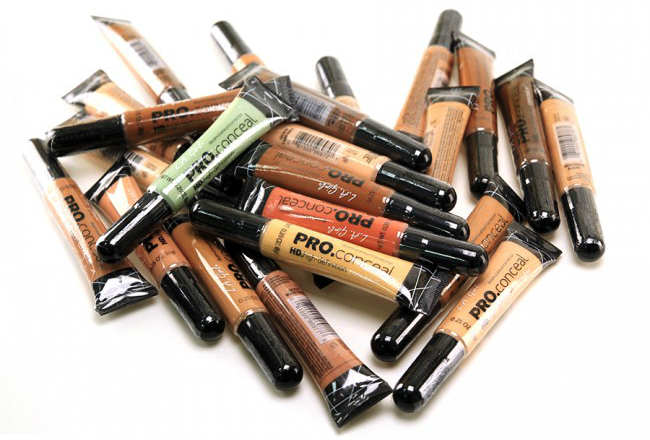 I use and abuse the orange corrector the most, its a must have in your kit! At the top of the page you would have seen a "before and after" makeover, done by my friend Jah (thanks for letting me use your photo Jah!). In the before photo you can see redness, acne scarring and a bit of discoloration under the eyes and around the chin. This was her biggest concern and insecurity, so as a makeup artist it is your job to correct it so she can feel stunning and confident. In the "After" photo only L.A Girl concealers were used to correct and conceal. Amazing right!? Your probably thinking, damn it must feel thick on her face. Not at all, this concealer provides instant coverage which means actually didn't have to use a lot. Only concealers were used to correct, conceal, highlight and contour (no foundation at all). Can you imagine how happy this girl was when she saw the end result - she didn't really believe it were possible. Its the best feeling as a Makeup-artist to see your clients light up with confidence. Ideally you want to buy somewhere they can testers so you can make sure you get the right shade!